Mobile broadband subscriptions (3G and 4G) grew at a rate of 1-2 million per month to pass 60 million in 2018, according to data from Pakistan Telecommunication Authority (PTA). Rising digital infrastructure is enabling a whole range of applications from e-commerce to digital payments and greater financial inclusion. It prompted Google's Singapore-based Asia business lead to write that "Pakistan is quickly becoming a digital-first country"
Alipay, a subsidiary of Hangzhou-based Ant Financial, has received approval by the Competition Commission of Pakistan (CCP) to acquire a 45 percent stake in Pakistan's Telenor Microfinance Bank for $184 million. Alipay's entry is expected to expedite widespread adoption of digital payments in the country. Several domestic mobile payment services offered by telecom operators are currently operating in Pakistan. The lack of international reach has kept the penetration rate of the payment portals relatively low. Entry of Alipay, the world's largest mobile payment platform, will intensify digital payments competition, improve the quality of service, energize the industry and enhance financial inclusion in a country where less than 20% of the population has bank accounts. At the World Economic Forum in 2017, Ebay’s chief executive Devin Wenig highlighted Pakistan as one of the fastest growing e-commerce markets in the world. It might have prompted Alibaba to acquire Daraz.pk, Pakistan’s largest e-commerce platform, in May 2018. 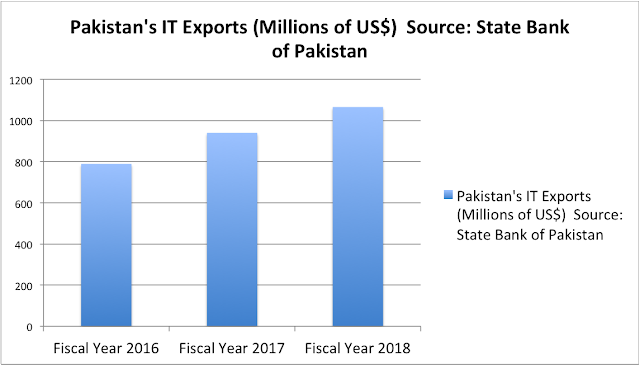 Pakistan saw its technology exports grow by double digits to surge pass $1 billion mark in 2018. 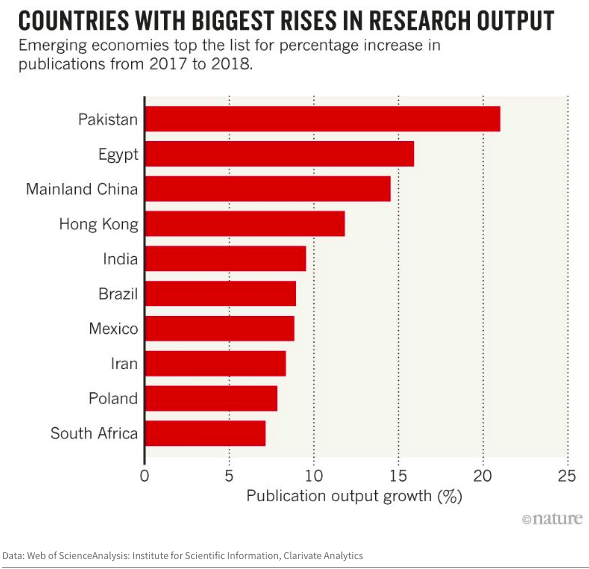 Nature magazine reported the country ranked first in the world in research output growth in year 2018. 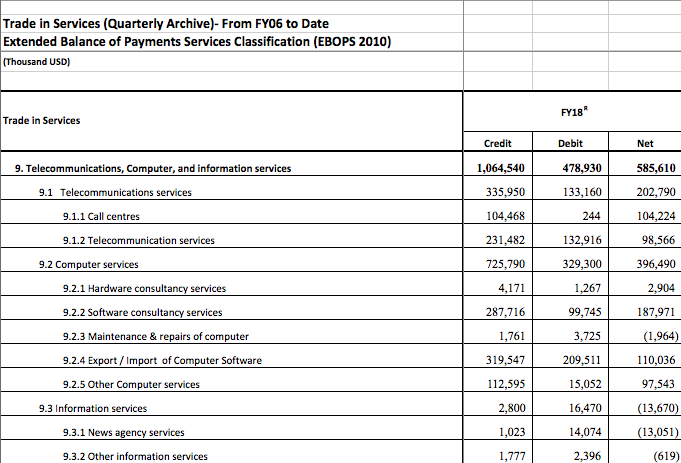 Pakistan mobile broadband subscriptions grew by 1-2 million a month to pass 60 million. Google's Singapore-based Asia business lead wrote that "Pakistan is quickly becoming a digital-first country". Chinese e-commerce giant Alibaba and its digital payments platform Alipay entered Pakistan market by acquiring Daraz.pk and Telenor EasyPaisa. Dr. Ata ur Rahman Khan, former chairman of higher education commission, asserted in an op ed that "Pakistan churns out about 22,000 computer-science graduates each year". Pakistan set an ambitious goal for its first human space flight in 2022. It was an exciting year for science and technology in the South Asian nation of over 200 million people. Around 30 companies have invested in the Free Zone, with direct investment of about $474 million. With the construction of the free zone, the city of Gwadar will become a commercial hub of the region in the near future. The construction of Gwadar East Bay Expressway project was started in November 2017 and would be completed in 36 months with the designed speed of 100 kilometers per hour. 2018 has ended, and the Pakistani entrepreneurial ecosystem has yet to witness a unicorn. Yet, the number of investments raised by Pakistani startups in 2018 outdo the previous year. Pakistan is now gaining traction as one of the emerging ecosystems to currently invest in the Asian region. While local investors continue to struggle to build their investment portfolio, foreign investors are taking the lead to venture into the Pakistani market. 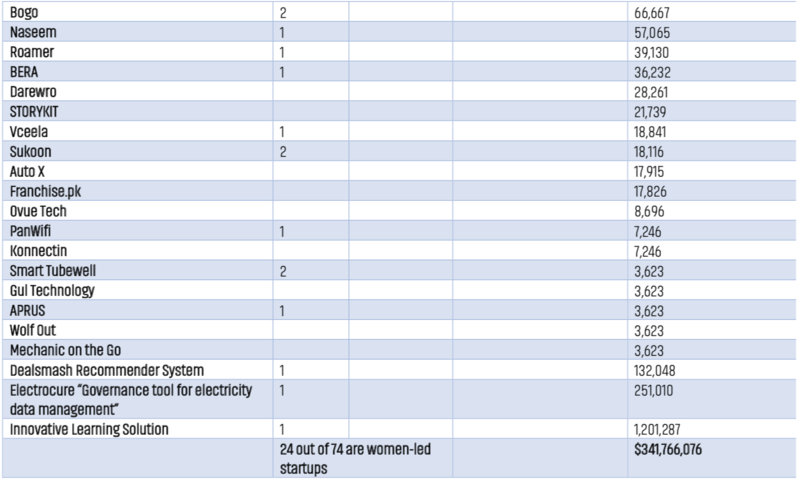 This year, over 40 startups at different stages have closed investment deals out of which 54 percent were women-led businesses. While some of the major deals of the year were raised by a local extension of an international group, it is worth noting that Pakistan is attracting capital as a potential business location. With the establishment of three venture funds involving international partners such as Sarmayacaar, SparkLabs, and i2i Ventures, 2019 is expected to fuel the local startups with more capital. Meanwhile, let’s look back with TechJuice at the year of investments. Telenor Microfinance Bank has been enabling the unbanked population of Pakistan through micro-finance and related financial services. In 2009, it launched Easypaisa, a branchless banking service. With its vast agent network, active accounts, and transaction value, Easypaisa has developed itself as the largest branchless banking service in Pakistan. KarloCompare is a financial services comparison platform that helps users discover and compare personal finance and insurance products and services. Meanwhile, supporting the financial services industry by introducing new customers to insurance companies and banks, helping them to lower the cost of acquisition and create transparency in their ROI on digital spends. In March 2018, TPL eVentures announced its investment in KarloCompare of an undisclosed amount. Previously, the financial services startup raised a seven-figure PKR funding in 2016 from angel investors Hina Khawaja Bayat and Roger Dawood Bayat. Tez Financial Services is Pakistan’s first all-digital non-bank microfinance company, focused on serving the unbanked and underbanked in Pakistan. Tez aims to reduce the financial vulnerability of over 50 million underserved Pakistanis through its smartphone app that is driven by artificial intelligence to provide access to all financial services such as nano-credit, health and term life insurance, and tailored investments. In October 2018, Tez Financial Services closed a seed investment round of $1.1 million led by Omidyar Network, established by Founder eBay Pierre Omidyar. Other investors included Accion Venture Lab and Planet N.
SimPaisa is Pakistan’s first direct carrier billing company, a product of PublishEx(Pvt.) Ltd. imPaisa enables digital businesses to monetize their products better by allowing their customers to make online payments using their existing SIM card balance. Currently, SimPaisa is the only payment system in Pakistan to offer this service. In February 2018, Sarmayacar invested PKR 25 million in a seed funding round of SimPaisa. CarFirst is Pakistan’s first online used car selling platform for auto buyers and sellers in the country. The platform is operated by Frontier Car Group that invests in used-automotive marketplaces in emerging market economies. The group is currently operating in six countries with CarFirst as its presence in Pakistan after it invested a major Series A funding in the startup. In May 2018, OLX Group announced a Series C funding round of Frontier Car Group .... While the investment spans across the different locations of Frontier Car Group, it will create a significant impact on the growth of CarFirst as it integrates its services with OLX to enhance the experience of a used-auto marketplace. AutoSahulat is an online service for roadside vehicle breakdown that connects mechanics with drivers for road-side assistance through mobile and web-based platform. The startup is currently operational in Lahore. OlaDoc, formerly known as MyDoctor, connects users with doctors and specialists and allows them to book appointments. The healthtech startup has also integrated an online medicine and lab test ordering to its services. In the previous year, the startup connected one million Pakistanis with doctors and specialists. In January 2018, the startup raised $1.1 million in funding from Glowfish Capital, a UAE based VC firm with investors hailing from Europe. Middle-East and Asia. Sehat Kahani is a healthcare startup that offers an all-female health provider network to deliver quality healthcare solutions using telehealth. The startup has impacted over 600,000 people with an all-female network provider of 1000 plus female doctors. In March 2018, Sehat Kahani closed a seed funding round of $500,000 led by Elahi Group of Industries which focuses on businesses including healthcare and pharmaceuticals in particular. Excel Labs provide laboratory and diagnostic services across over 60 locations in Punjab, Khyber Pakhtunkhwa and Azad Jammu & Kashmir. The lab offers 727 diagnostic medical tests. In June 2018, Excel Labs closed an equity investment of $3.1 million led by Karandaaz Pakistan. Marham is a health-tech startup that has built a community to provide quick medical help to the patients in terms of right doctor identification, booking appointments and sharing quick access points of the doctors. Recently, Marham was the first Pakistan startup to qualify for Asia’s first Google Demo Day winning the Audience Choice Award. Ricult is a Pakistani agri-tech startup enabling smallholder farmers to access credit and services like purchasing inputs and selling harvests, eliminating the need for middlemen and loan sharks. The platform serves. The startup as a fin-tech data platform and marketplace for smallholder farmers in developing markets. In June 2018, Ricult raised $1.85 million in a seed funding round led by a Thai corporate, 500 Startups, and Wavemakers. The startup has previously raised $600,000 in an early seed funding round with an additional $100,000 grant from Karandaaz. HAC Agri ensures the availability of off-season fruits and vegetables that are fresh and high quality through their controlled atmosphere warehouse. Currently, HAC Agri offers a range of fruits and vegetables by directly connecting with farmers to access the best products and offer an advantage to harvesters. In June 2018, Karandaaz announced its investment of an undisclosed amount in HAC Agri to set up the first state-of-the-art controlled atmosphere warehouse in Punjab. JF Labs provide Agricultural Drone Services, enabling farmers to enhance the quality of cultivation process through detailed and precise imaging. The service allows to monitor the health of crops along with the land quality through the latest imaging techniques. The startup raised PKR 3,000,000 in funding on the reality TV show, Idea Croron Ka. The investment deal was led by Founder Impact Network, Shahida Saleem. ModulusTech offers an environment-friendly flat-packed housing that can be assembled within three hours under a cost of USD 3000. This housing solution cuts down carbon emission by almost 50 percent, for which it has been recognized and awarded by the United Nations Industrial Development Organization. Sustainable Living Environment offers an integrated waste management system that enables the automation of three core waste management activities: collection, separation, and recycling. The startup raised PKR 1,400,000 in grant funding by Khyber Pakhtunkhwa Impact Challenge Fund on Idea Croron Ka. Cloudcade Inc. is a San Francisco based game mobile game developer and publisher. The international game studio has now extended its roots to Pakistan through Cloudcade Pakistan with an investment of $6.5 million. The local studio is the first Asian studio to be set up by Cloudcade Inc.
Cloudcade Inc. has appointed the co-founder of the popular Caramel Tech Studios, Ammar Zaeem as the President of Studios, South Asia. SastaTicket is an online platform that offers domestic travelers a way to book and pay for flights at relatively inexpensive prices. Founded in 2016, the platform has experienced significant growth in GMV at 125% YoY, and the number of orders at 155% YoY, and has over one million flight searches per month. The online platform is currently the biggest one in Pakistan in terms of all travel-related services. In November 2018, the startup closed its Series A funding round of $1.5 millionled by Gobi Partners through their firm TaqwaTech focused on investing Muslim ventures in the region. Daraz Group, a leading e-commerce company in Pakistan, Bangladesh, Sri Lanka, Myanmar, and Nepal was fully acquired by Alibaba Group in May 2018. The e-commerce company was kickstarted in Pakistan in 2012 and has since grown into the most popular online shopping destination in the country. Currently, the company operates online marketplaces across six locations. After the acquisition, Daraz has continued to operate under the same brand following the transaction. EasyTickets, developed by Lahore New Media Labs, is an online marketplace for entertainment and hospitality bookings including cinemas, events, and transport. At Idea Croron Ka, the startup proposed to develop a cloud-based online hotel booking management system to integrate into EasyTickets to provide easy reservations for their customers. The startup secured PKR 2.6 million through USAID Small & Medium Enterprise Activity. Batterylala provides an online shopping experience for new, original, and warrantied battery purchases offering free same day delivery with relatively inexpensive prices. The products come with free of cost professional installation and after-sale services. Batterylala ensures the originality of the product and the products are 100% new and warrantied. The startup raised PKR 40 million in funding at Idea Croron Ka led by Founder Impact Network Shahida Saleem and Founder Zamindar Capital Naeem Zamindar. Le Pur Organics is a natural organic skin care product selling company that manufactures products with high-quality virgin oils extracted solely from plants which make them 100% Eco-Friendly. Their organic products are free from synthetic and skin harming chemicals. The startup pitched at Idea Croron Ka raising PKR 30 million by Founder Imptrax Munawar Abdullah. Sheops is Pakistan’s first women-only marketplace, facilitating women entrepreneurs and women-oriented businesses to start and scale their operations leveraging technology. Started with a bustling Facebook community of over 100,000+ women buyers and sellers, Sheops have now integrated an e-commerce experience. In 2015, the startup raised investment from Arpatech Technology Ventures. This year, the startup qualified for Facebook’s Community Leadership Program. It also raised $20,000 in grant funding with the partnership of Idea Croron Ka with Facebook in this year’s season. Edkasa is an ICT-driven educational tutorial services business. Working on the ‘Edupreneur Model’, the education entrepreneurs are enabled to run tutorial academies that provide cloud-based, live, online classroom training in five subjects for their students in intermediate grade level. The startup raised PKR 2.6 million in grant funding through USAID Small & Medium Enterprise Activity at Idea Croron Ka. Transconomy serves the logistics and transportation industry by providing ICT solutions for supply chain management processes at ports and end-to-end visibility across an entire supply chain cycle. The flagship product is a Line of Business Software, called Transconomy Terminal, which automates the daily operations with transparency and aims to augment the ability of these facilities to process more cargo, more efficiently. Human Aid Robotics and Intelligence System (HARIS) pursues R&D in order to provide low cost electro-mechanical machines where required and reducing the import cost and expensively imported machinery. The startup raised PKR 50 million in funding led by Founder Imptrax Munawar Adadullah at Idea Croron Ka. Dervish is a food incubator, that owns three profitable restaurant brands at the moment. It has incubated six startups in a year with an 83 percent success rate. 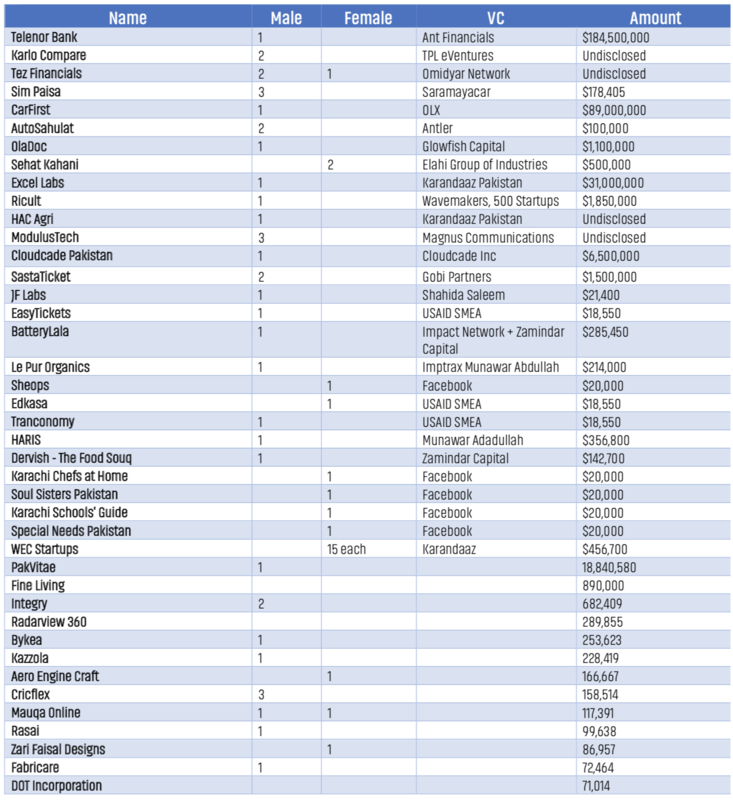 Five out of six ventures under Dervish continued to sustain success for more than one year. At Idea Croron Ka, the startup raised PKR 20 million in an investment deal offered by Founder Zamindar Capital Naeem Zamindar. Karachi Chefs at Home is a female-only Facebook group where members share their love for food and cooking. Hosting recipes and food talks, the group has also published three book compilations called Tasty Treasures with members’ recipes. The community has over 135,000 members. The food community secured a $20,000 grant from Facebook on the platform of Idea Croron Ka. Soul Sisters Pakistan provides an online support system for every Pakistani woman. While the primary focus remains to be able to discuss women’s issues and networking with like-minded individuals, the community has also evolved into an information and entertainment avenue with its own blog that periodically features stories of group members. The community is a strong network of over 100,000 Pakistani women. The group qualified for the Facebook Community Leadership Program and secured a $20,000 grant from Facebook on the platform of Idea Croron Ka. This Facebook group is a community that provides a unified platform to bridge the gap between parents, teachers, educators, and students in order to bring them on a single page for an exchange of health information related to the field of education and activities which will aid to the constructive development of kids. The community boasts 92,000+ members. At Idea Croron Ka, the community raised $20000 in grand funding by Facebook. Special Needs Pakistan is a Facebook community and a resource network for the support group of people who require special attention and care for being differently abled. The group has over 6000 members currently. At Idea Croron Ka, the community raised $20000 in grant funding by Facebook. The figures have been updated to reflect the investment amounts raised by startups incubated under National Incubation Centers.